After Toon Link was revealed with much fanfare, I got the impression that a debate over its pros and cons continued among the fans until release. As the developers, what were your impressions about the response after the game was released? At the time, we couldn’t really directly see the response online the way we can now. There was already a division between those who liked that artistic style and who didn’t, and I had the impression after release that we hadn’t quite made it across that barrier in order to deliver the Zelda game that we wanted. That was just my own vague idea after talking to a number of people. So you think that the players’ opinions were first divided just by whether they liked the art style or not? Right. This was a few years ago, but one day, my wife said a friend had told her the visuals for The Wind Waker on Nintendo GameCube were really pretty, so if we had it at home, she’d want to play it. Hmm, isn’t that a little too good to be true? (laughs) Did your wife know you were working on The Wind Waker? She knew it, but she didn’t seem to have much interest when it came out. Does she usually play video games? About the time of The Legend of Zelda: Twilight Princess12, she started playing the games I made, but before that, she didn’t play video games very much, partially because our child was so little.12. The Legend of Zelda: Twilight Princess: Released for the Nintendo GameCube and Wii consoles in December 2006. The realistic 3D graphics, which had evolved from the visuals of The Legend of Zelda: Ocarina of Time, were a distinctive feature. Using the Wii Remote controller to play the Wii version made new and intuitive controls possible. What was your impression, Takizawa-san? 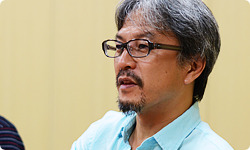 Well, I have a story similar to Aonuma-san’s. My wife never plays video games. But when she saw the TV commercial back then, she said it looked interesting. And that was the first time I’d ever heard her express disappointment over not being very good at video games. Ah, something came across through those visuals. I think that’s what it was. We were able to create visuals where we could get someone who doesn’t usually play video games want to play one. That really made me happy. Back then, probably, video games still had an image of being difficult. For example, controllers were getting more and more buttons. Perhaps that perception was at its peak about that time. It was a time where making games more realistic and lavish excited a lot of people. The Wind Waker was released at a time when the gaming industry wasn’t able to offer an idea that could open up games to a broader base of people. Yes. There was a clear split. Well, there’s a clear split with those who are reluctant even to try it. But I think that has changed recently. Yes. Bill Trinen-san13 at Nintendo of America – who always plays a big role in preparing the overseas versions of The Legend of Zelda games – always talks about the “Zelda cycle”.13. Bill Trinen: Product Marketing Director, Nintendo of America. Basically, as time progresses, negative opinions about The Legend of Zelda turn into positive ones. At first, I wasn’t sure about that, but seeing the response to The Wind Waker HD, I think it may be right. And it isn’t restricted to The Wind Waker. Every time a new Zelda title comes out, there’s no shortage of negative opinions, but a year or two later, people are revising their opinions, and its reputation goes up. The response of fans in North America was like that for The Wind Waker. When we first announced the original version in 2001, the majority of voices we heard were against it. However, the responses for the Nintendo Direct14 we aired in January were incredibly favorable. Also at the Nintendo Experience event at Best Buy15 which was held at the same time as this year’s E316, a lot of people lined up in front of the single demo station for The Wind Waker HD in each store, saying they really wanted to play it.14. Nintendo Direct: Refers to the Nintendo Direct video titled “Wii U Direct – Nintendo Games 23.01.2013”. 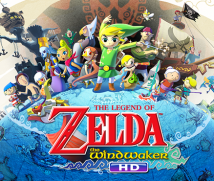 (Images from The Legend of Zelda: The Wind Waker HD begin at 30:00.)15. The Nintendo Experience events at Best Buy: During E3, events were held at 110 Best Buy locations throughout the United States and Canada. Visitors were able to test-play new games still unreleased for the Wii U console, such as The Legend of Zelda: The Wind Waker HD and Mario Kart 8.16. E3 (Electronic Entertainment Expo): A video game trade show usually held once a year in Los Angeles. In 2013, E3 was held for three days from June 11th to 13th. 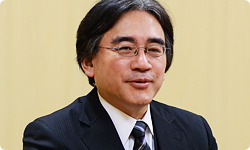 In 2013, Nintendo did not host its customary press conference, focusing on activities such as Nintendo Direct broadcasts in various regions and holding a Software Showcase immediately before the show. This might jinx things, but we weren’t able to expand the reach of the Nintendo GameCube hardware to the fullest, so even if people thought it looked good, a lot of them didn’t buy the hardware and decided to wait it out. The other thing I could say is that we up-ended a lot of things with The Wind Waker, and we continued to do so beyond that as well. The Legend of Zelda: Twilight Princess had serious and photo-realistic visuals, and then The Legend of Zelda: Skyward Sword had a painting-like look with its half cel-shaded animation. It keeps changing with each new release. To that point, I think a part of the reason that the sentiment for The Wind Waker is increasing is that people have now seen both Twilight Princess and Skyward Sword, and have realised that The Wind Waker did have its own appeal. After that, Toon Link settled into handheld games, so the number of people who have taken a liking to him is gradually increasing. When I worked on The Legend of Zelda: Phantom Hourglass, some people were definitely like “What? Toon Link? !” But with The Legend of Zelda: Spirit Tracks17, it seems like opinions like that had completely disappeared.17. The Legend of Zelda: Spirit Tracks: Released for the Nintendo DS system in December 2009. As in the earlier game The Legend of Zelda: Phantom Hourglass, this game featured Toon Link. As we make The Legend of Zelda games for the Nintendo DS, I think we were finally able to reach across to those people that while the appearance may change, it’s still in fact a Zelda game. And eleven years is more than enough time for people to have a fresh feeling towards it. I doubt many people would feel like playing the remake of a full-length game that came out two years ago, no matter how fun it was, unless it had something really mind-blowing. But when eleven years pass, you might not be able to start over from scratch, but you’re able to enjoy it with a fresh feeling. That’s right, so when playing the game again, even those of us who made it have forgotten a lot about it. We feel like we’re regular players and say things like “Really? Was it like this?” as we play along. Yeah! So we keep a strategy guide at hand. Imagine a developer using a strategy guide to play his own game!